Accent Office Furniture Network Represents MANY Major Office Furniture Manufacturers! DMI Office Furniture feels that an office is more than a desk and credenza. It exudes our lifestyles, our work ethic and for many of us, it is our harbor in the fast-paced world of profitability and shareholder equity. DSI Industries is a division of the Office Furniture Group, who offers a variety of features based on design, application and budget preferences. From executive seating to office systems, to workstations, to home office furniture, to fully assembled, to knock-down furniture, Office Furniture Group provides more choices and more possibilities for your complete office. 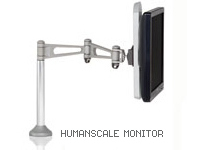 Humanscale offers its clients a diverse range of ergonomic products and strives to continually improve and strengthen its range of products. 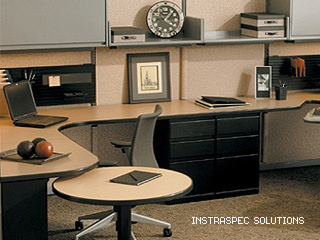 Through the years, Intraspec Solutions has built an impressive reputation on re-manufactured Steelcase, with product quality, durability, and expert service. We believe that no office furniture manufacturer offers as much value as we do. And in an industry that's changing rapidly, we maintain a unique focus on understanding what you need, and making it easy to do business with us. LDF Industries, a division of the Office Furniture Group, offers a variety of features based on design, application and budget preferences. From executive seating to office systems, to workstations, to home office furniture, to fully assembled, to knock-down furniture, Office Furniture Group provides more choices and more possibilities for your complete office. Links Business Furniture is also a division of the Office Furniture Group, and offers a variety of features based on design, application and budget preferences. From executive seating to office systems, to workstations, to home office furniture, to fully assembled, to knock-down furniture, Office Furniture Group provides more choices and more possibilities for your complete office. The largest and leading manufacturer of top quality industrial storage and workspace products, Lyon offers high quality products that serve our customers' needs and provide the basis for profit and growth. Office Furniture for work environments where Real People do Real Work. They want it to be practical, durable and affordable. That's what Marvel Group has built since 1946. Marvel designs, manufactures and distributes a full line of quality furniture to fit almost any application. Mayline has always stood for quality manufacturing & application-driven solutions. Their product line is designed to fill the product gaps not serviced by traditional contract manufacturers. 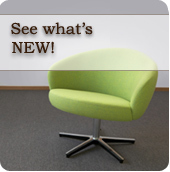 Nova provides complete furniture solutions for schools, businesses, residential, healthcare facilities, and more. From standard office furniture to technology integrated classroom desks, Nova has The Right Solutions(TM). Whether it's creating a comforting, efficient work environment full of organizational solutions and comfortable seating or it's creating a comfortable working relationship, Safco is committed to an "ahhhhh inspired" experience. Spacefile's Line of Thinline products and Mobile Systems allow users to more than double the amount of files stored in a given footprint. Combines classic construction methods and materials with the finest craftsmanship in the industry to build superior pieces that are traditionally made yet thoroughly modern. Trinity Furniture Inc. has been a leading manufacturer of traditional and transitional executive wood furniture since its inception of March of 1984. It is the principal supplier of seating and tables to noted Federal agencies such as the House of Representatives, the Architect of the Capitol and the U.S. District Courts. In its design, development and production, Trinity Furniture seating and table collection�s represent the very latest in furniture manufacturing and the very best value in high-end executive furniture seating today. Saving our customers' bottom line while keeping our planet healthy is more than our mission at Unisource, it's Common Sense at Work. With an ongoing commitment to quality, aesthetics and value, 2/90 exceeds the expectations of the most demanding building professionals and facility managers.